Old School Evil: Hasbro, why do you hate me? 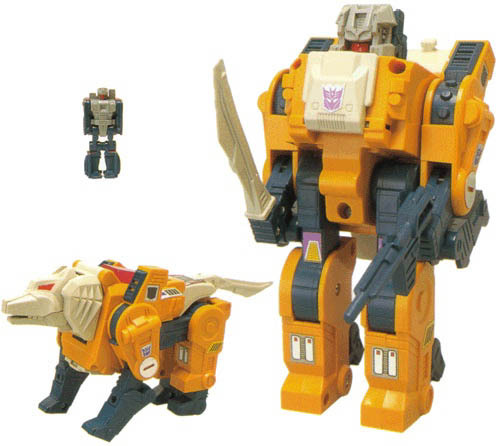 I had a decent collection of Transformers as a kid and one of my favorites was Weirdwolf. This was one cool guy - a Headmaster, which meant his head turned into another smaller robot and he had a cockpit for it to sit in while he's in wolf mode. One of the coolest features though were the slide-open rocket launchers on his shoulders (non-working of course). He was easily one of my favorites, even over Skullcruncher, a similar Transformer that turned into a crocodile with the little robot hiding in his mouth. Anyway, Hasbro has recently resurrected the -Master line with Titans Return and with it, Wolfwire, a brand new Weirdwolf but with better articulation (and a lot smaller). I'm stoked! I can't wait to get this guy! Even if it has a stupid name due to trademark reasons, I can get this great update to one of my favorite figures as a kid. Except I can't. Because Hasbro's distribution has been so scattershot with the enter Titans Return line. Most of the stores in my town are completely sold out on almost every Titans Return figures. Even worse, those same stores don't even have the figures listed on their online storefront. These figures just don't seem to exist anywhere in my little hamlet. Unfortunately, the only place I can find them are online-only toy retailers that add a few extra bucks onto their MSRP and have extraordinary shipping rates. I may want this figure soon, but paying almost twice their asking price to get them is a little more than what I'm willing to do. Come on, Hasbro, get these toys shipped out! I really don't want to have to go the next state over to find these!